Jack Ewing’s love affair with the rainforest began in 1970 when, in search of new opportunities for plying his Bachelor of Science degree and his skills as a cattle rancher, left his native Colorado and moved his wife, Diane, and their young family to the jungles of Costa Rica. His ever-growing fascination with the rainforest, however, soon prompted his transformation into environmentalist and naturalist. A natural-born story teller, Jack’s articles about life in the rainforest appear regularly in Costa Rican publications, and he often speaks to environmental, student, and ecological traveler groups. He is currently president of two environmental organizations, ASANA and FUNDANTA. 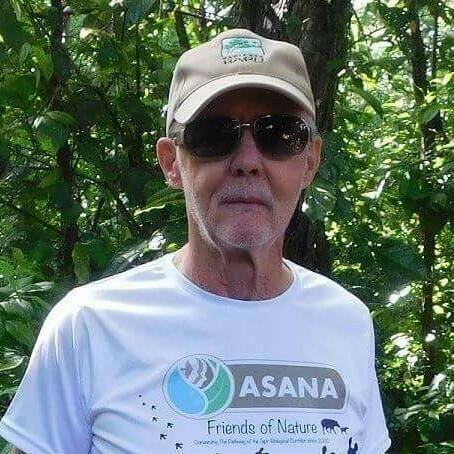 “What we must do to save the rainforest,” says Jack, “is connect the parks, refuges, and reserves with biological corridors and then teach the people how to make a living from these natural areas without damaging or destroying them. If we want conservation to work, we have to make it profitable. Jack and Diane live on internationally acclaimed Hacienda Barú National Wildlife Refuge.